A criminal case has been launched in Azerbaijan against 21 persons openly calling for terror after the assassination attempt on the head of Ganja city executive power Elmar Valiyev, and three persons were arrested, a source in Azerbaijan’s law enforcement bodies told Trend July 13. Presently, search activities continue to establish the remaining persons, according to the source. 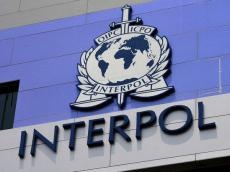 “Persons openly calling for terror, and residing outside of Azerbaijan, have been declared internationally wanted,” the source said. A preventive measure in the form of administrative arrest has been chosen regarding 25 persons that were calling for unlawful actions. A group of people of radical religious orientation, who tried to disrupt public order in Ganja, attacked police officers on July 10. Two police officers, Deputy Head of the Main Police Department of Ganja city Colonel Ilgar Balakishiyev, as well as Deputy Head of the Police Department of the Nizami district of Ganja city Colonel-Lieutenant Samad Abbasov were killed in the attacks by radicals. As a result of the operative search activities carried out by Azerbaijan’s law enforcement officers, Farruh Gasimov was arrested and handed over to the investigators, while Rashad Boyukkishiyev was eliminated July 13 as he showed armed resistance to police officers.